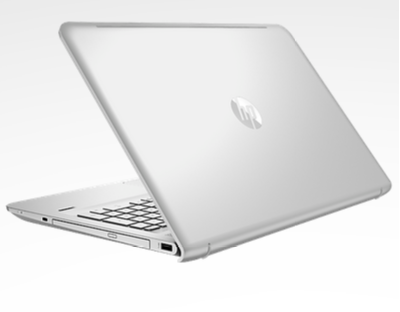 The HP ENVY Laptop – 15t Touch is one of the top machines on the market for its price. Although it costs below $800 – very affordable for a good laptop – it offers great speed and powerful options such as a solid-state drive for near-instant startup. While it’s too large to be called an Ultrabook – they need to be less than 0.9 inches thick, and the ENVY 15.6″ is solidly over one inch – it is a hybrid with a touch screen display. This allows users to make the most of the tablet functionalities of Windows 10. The ENVY uses its extra size to provide options that many Ultrabooks can’t. This is less of a necessity in the age of cloud storage, but many users still find it handy for watching movies, listening to music, or playing games. It also offers three USB 3.1 ports for transferring data quickly, an HDMI port that’s great for presentations, and an SD card reader. We mentioned before that it was powerful, but just how powerful? Well, it offers 512GB SSD of storage and 16GB of RAM, to start with. It runs on the latest impressive Intel Core i7-7500U, which is a quad core processor. It also offers great sound to boost any type of media experience, from games to movies. • Great performance. The number one piece of praise that owners have for this machine is how well it stands up to heavy use, including modern games like Portal 2. For a laptop that isn’t technically a gaming machine and that is offered at such a low price, it handles very well. • Touchscreen capability. With Windows 10, users who do not have touchscreen functions miss out on a lot of the most helpful features or find them more difficult to access. Having a machine with touchscreen functionality allows you to get the most from your operating system. Again, the display is impressive for the price, coming in at 15.6 inches and with an optional resolution of 3840 x 2160. • Windows 10. Speaking of the operating system, this model comes packaged with Windows 10, a great improvement over the Windows 8.1. You can rely on the system being stable, and finding functions is easier even when you aren’t using the touchscreen. • Appearance. The ENVY – 15.6″ Touch sports a sleek, durable case that looks great even with it’s somewhat larger size. • Convenience. Along with running difficult programs smoothly, the HP ENVY Laptop – 15t Touch also multitasks extremely well. It runs very quietly, both because of the SSD and because it hardly ever overheats and therefore does not need to run its fan at top speed. The SSD also allows users to access their system faster than ever. Not So Long Battery Life. Since the Envy 15t is not optimized for portability in any case, battery life was not a focus. However it has a battery life of 7 hours. Redesigned Touchpad. There are problems with any touchpad, and many manufacturers seek to perfect the design. However, customers seem to feel that HP fell short of the mark on this model. Display Issues. While the resolution for the basic models is great for its price range, the display is not quite as faithful in color reproduction, which can be a problem if you are using it for tasks where precision color is necessary. We recommend to upgrade to the highest 3840 x 2160px. Obviously, the ENVY – 15.6″ Touch isn’t for everyone – no computer is. However, it is great for students or others on a low budget who need a machine that can accompany them to classes or meetings but also handle the latest media. While not perfect, the Envy – 15.6″ provides a great way to grab an SSD machine at a low price point.